If you have ever tried to e-mail a large file to someone, you know how much trouble you often run into. It turns out there are a number of free file transfer websites available to accomplish this task easily. After reviewing a few of them, I found Sendoid.com to be most to my liking. Its strengths include direct peer-to-peer transfer, with 128 bit encryption and optional password protection. Their servers are never directly involved in the file transfer, since the file is directly transmitted from your computer to the one you are sending it to. Best of all, you don’t need to create an account to use this service. Using it is as simple as a single click to select your file and (optionally) attach a password. It then provides a link to the file to share with others. You then just keep that web-page open until your file is retrieved. The open web-page session is what provides the peer-to-peer connection. That’s it to using it – it is fast, secure, and convenient. Give it a try next time you need to transfer a big file. UPDATE: There were a couple of comments posted that referred to some other file transfer websites. When I look at each one, the first was marked as an untrustworthy website by WOT (Web of Trust), and the other wanted money for each file transfer. Since these were clearly SPAM, one being possible malware, I deleted them. Feel free to post your own favorite file transfer websites, but they better be free, safe and secure. When writing this post, I looked at several other sites, and Sendoid was definitely the best as far as I am concerned. I see little reason to use any other. Easy Way to Send Large Files by Provide Your Own is licensed under a Creative Commons Attribution-ShareAlike 4.0 International License. This entry was posted in Tech and tagged computer, file transfer, internet, software. Section: Blog. Bookmark the permalink. Both comments and trackbacks are currently closed. NOTICE: The Sendoid service is no longer available. Read all about it here. Sendoid’s web interface was disabled on Wednesday, March 7th. functionality was disabled on March 16th. Thanks again to all our users! 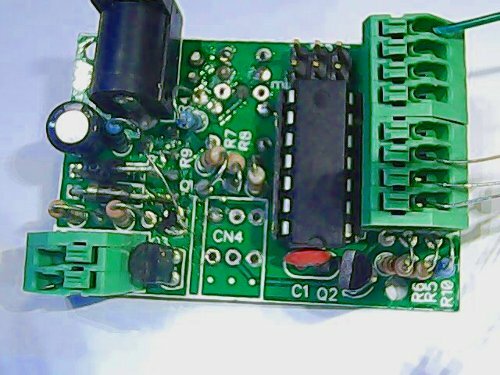 ALSO – thanks for all your posts – got good use out of the Arduino-nested-library-includes article and good ideas out of the materials-for-makers article. Bonus tip of the hat for good grammar and spelling: much appreciated! Thanks for the update on Sendoid – too bad, they seemed to be the best of the litter. Glad to hear you like the articles. The materials for makers article is one of my favorites. I hope to expand on it more in the future.